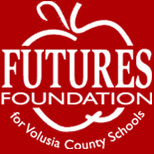 Welcome to Take Stock In Children Volusia! Take Stock in Children (TSIC) offers at-risk, low income students college tuition scholarships, caring volunteer mentors and hope for a better life. 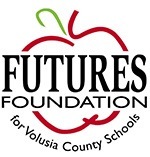 FUTURES Foundation facilitates the Volusia Take Stock in Children Program which raises funds for these scholarships through individual, community, civic and private donations. All scholarship contributions currently are matched 100% thanks to Florida Legislative funding through the Stanley Tate STARS (Scholarships For At-Risk Students) Program at the Florida Prepaid College Foundation. Volusia's TSIC students must maintain a 2.5 weighted cumulative grade point average (GPA) throughout high school, attend required events and meet with a volunteer adult mentor on school campus for 30 minutes weekly during the school year. They must also remain alcohol, crime, drug and gang free. Take Stock in Children has a proven state-wide record with assisting ambitious, goal oriented students to graduate from high school, attend and graduate college and become productive citizens in our community. In Volusia County, our students are nominated by their guidance counselor while in the 8th grade. If selected, the students attend a contract signing ceremony pledging to remain alcohol, crime, drug and gang free, maintain a weighted cumulative 3.0 GPA and meet with a mentor weekly throughout their high school years. Take Stock in Children is seeking mentors. TSIC is a college tuition scholarship program for low income, at-risk students who are selected in the eighth grade through an application process. Students officially begin the TSIC program their freshman year of high school. Mentors meet weekly with their high school student on school campus for approximately 30 minutes. If you are interested in becoming a mentor or would like more information regarding Take Stock in Children, please contact Shimene Shepard at sashepar@volusia.k12.fl.us or phone (386) 255-6475, ext. 50724.